The Pla Mor Ballroom is dedicated to creating an atmosphere of elegance and beauty while also maintaining a sense of welcoming hospitality. We want your dreams to come true for your special day. Whatever your vision, our staff works to bring that into reality. Our knowledgeable staff will keep you at the forefront of your event. We work with your dreams and desires for your day, along with your budget to create a wonderful experience. Not only will you look back to a wonderful day of your dreams which came true, but you will do so with pride. 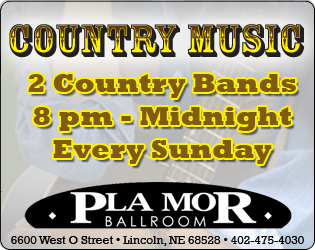 Let the staff at Pla Mor Ballroom show you what a wonderful event experience is. 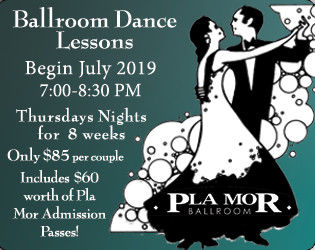 The Pla Mor Ballroom is the perfect place to hold your wedding, reception, company holiday party, fundraisers, awards banquet, seminars, reunion, birthday or anniversary party. We offer very competitive pricing and excellence in quality. Our Corporate and Party pricing includes: tables, chairs and linens, as well as the setup of tables and chairs, and the Pla Mor Staff on the day of the event. 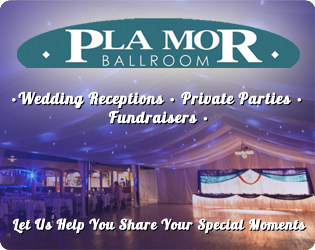 Contact Us at the Pla Mor Ballroom for more Information and to Book your event Now!